Mountaintop removal is any method of surface coal mining that destroys a mountaintop or ridgeline, whether or not the mined area will be returned to what is legally described as the “approximate original contour.” Methods of mountaintop removal coal mining include, but are not limited to: cross-ridge mining, box-cut method mining, steep slope mining, area mining or mountaintop mining. What is the process of mountaintop removal coal mining? Coal must be chemically treated before it is shipped to power plants for burning. This processing creates coal slurry, or sludge, a mix of water, coal dust and clay containing toxic heavy metals such as arsenic, mercury, lead and chromium. The coal slurry is often dumped in open impoundments that are sometimes built with mining debris, making them very unstable. 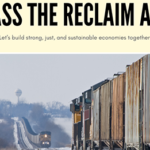 While reclamation efforts are required by federal law, coal companies often receive waivers from state agencies with the idea that economic development will occur on the newly flattened land. In reality, most sites receive little more than a spraying of exotic grass seed, and less than 3% of reclaimed mountaintop removal sites are used for economic development. According to a U.S. Environmental Protection Agency impact statement on mountaintop removal in Appalachia, it may take hundreds of years for a forest to re-establish on the mine site. A 2016 study by Duke University researchers published in the journal, Environmental Science and Technology, found that some 40 years of mountaintop coal mining have made parts of Central Appalachia 40% flatter than they were before excavation. The researchers found that the mines and valley fills could range anywhere from 10 to 200 meters deep. Across the region, the average slope of the land dropped by more than 10 degrees post-mining. View satellite imagery of mining encroachment and learn about the top 50 communities at risk from mountaintop removal mining in Appalachia with our Communities at Risk mapping tool on iLoveMountains.org. Where is mountaintop removal coal consumed? Most mountaintop removal coal is burned in power plants in the eastern United States and in some Midwestern states. Many Americans get their electricity from utilities that purchase coal from companies that engage in mountaintop removal mining in Appalachia. 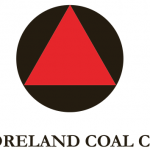 Appalachian Voices created the My Connection tool on iLoveMountains.org, where people can type in their zip code to see if mountaintop removal coal is being burned to provide their electricity. What can be done to end mountaintop removal mining? In 2002, changes to the Clean Water Act by the Bush Administration created a loophole to allow coal companies to dump mining waste into our nation’s waterways, paving the way for mountaintop removal mining to escalate. For several years, Appalachian Voices and our partners pushed for passage of the Clean Water Protection Act, which would have provided a long-term legislative fix. More than 200 congressional allies supported the effort over the years, but it was ultimately unsuccessful due to industry lobbying. The president and federal agencies also have the ability to halt mountaintop removal mining through strict mine permits and strong federal rules. 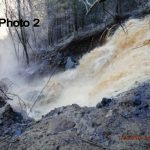 In December 2016, after years of technical review, outreach to states and the industry, and public comments, the Office of Surface Mining, Reclamation and Enforcement finalized the Stream Protection Rule. Appalachian Voices, joining with many partner groups and hundreds of citizens, had advocated for strong requirements to protect water quality and communities. Ultimately, the rule was weaker than it should have been, but it did include several improvements. In February 2017, however, President Trump signed a bill that passed mostly along party lines in Congress to repeal the rule. What agencies are involved in regulating mountaintop removal? The permitting of mountaintop removal mining takes place in a complex regulatory framework that spans federal and state government agencies and differs by state. Don’t we need mountaintop removal coal for the nation’s energy needs? Using official data provided by the Energy Information Agency, Appalachian Voices has determined that mountaintop removal coal provides roughly only 3% of our nation’s electricity. * That percentage has been dropping for years and trends indicate it will continue to drop. If mountaintop removal mining were ended tomorrow, not a single American would lose power. Coal mined underground would be the most readily available alternative for utilities in the short term. But, in order to provide electricity and protect Appalachian communities from further air and water pollution, Appalachian Voices strongly advocates for investments in energy efficiency and renewable energy sources, such as wind and solar, which would easily make up for the 3% of electricity currently provided by destroying mountains for coal. * Based on available government data, Appalachian Voices arrived at the approximate but conservative estimate of 3% as follows: Coal provides about 39% of electricity in the U.S. About 20% of the coal used for electricity is mined in central Appalachia, equating to 8% of our electricity. Roughly 45% of central Appalachian coal is from strip mining, and almost 100% of that is mountaintop removal. Therefore, mountaintop removal coal provides roughly only 3% of our country’s electricity.